Almost every adult will deal with low back pain at some point in their life. In fact, it’s one of the most common reasons people head to the doctor. 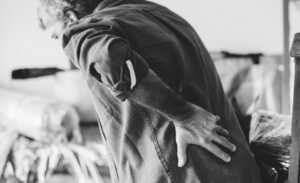 While most cases of acute low back pain will go away without intervention, a visit to an urgent care center can help rule out more serious conditions and ensure you’re on the quickest road to feeling better. Lifting a heavy object or twisting suddenly can strain the muscles in your back or the ligaments of your spine and cause diffuse back pain. The intervertebral discs that act as cushions in your spin can become compressed and bulge outward (herniation) or rupture, causing dull or sharp shooting low back pain. Commonly caused by osteoporosis, a spinal compression fracture occurs when a bone in the spine collapses, leading to debilitating back pain. A breakdown of the cartilage of the joints and discs in the lower back can make movement difficult and painful. Scoliosis, a condition in which your spine curves to the side, can lead to back pain later in life. de hot or cold packs, over-the-counter NSAIDs, cortisone injections, and physical therapy. Integrative medicines such as acupuncture, chiropractic care, yoga and massage may be helpful.